The same day the Pentagon said a U.S. airstrike struck an Islamic State training camp in Libya, Canada’s top soldier said Canadian Forces “will certainly be involved somehow. 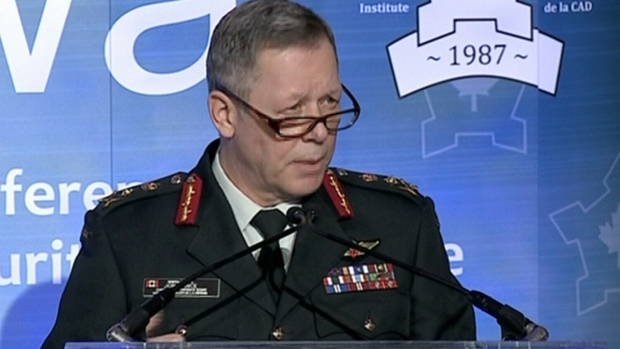 Chief of the Defence Staff Gen. Jonathan Vance told reporters at the Conference on Security and Defence in Ottawa on Friday, that Canadian military officials are closely monitoring the situation in Libya. “I don't know whether we will be involved militarily, but we will certainly be involved somehow, because Libya sits at a crossroads of some very important and dangerous things that are happening in the world,” Vance said. U.S. and European military officials have been monitoring the movement of Islamic State militants into Libya, noting an increase there, as the group's numbers in Syria and Iraq have shrunk. Libyan officials estimated that more than 40 others were killed and many more wounded. The strike did not appear to mark the start of a sustained U.S. air campaign against the extremist group in Libya, where it has made inroads even as it faces pressure from U.S.-led coalition bombing in Syria and Iraq.